Now accepting applications for the Round Up Program and check out our french toast alien abduction milk video! "I set out to write a quick little ditty on them for the internets, which quickly turned into a quick little paragraph, and then a quick little essay." Jacob is an avid food researcher and activist. He thinks a lot and he writes a lot. He has a background in science, agriculture, bees and fermenting the life into pretty much anything. Everyone at the co-op loves to hear him speak and think aloud and we think you will too. 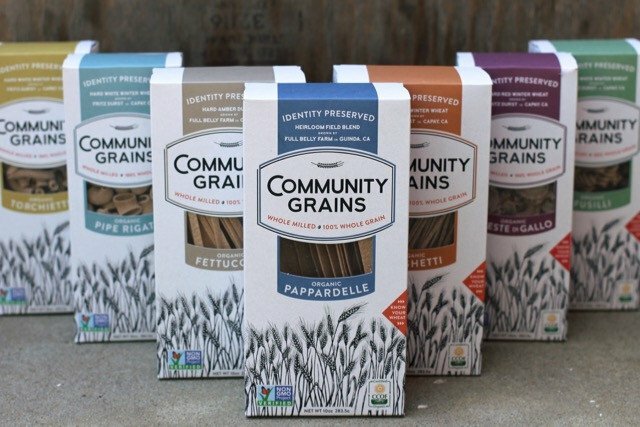 This first post is about the newest addition to our grocery line: "Community Grains" - Click the image below to read more. 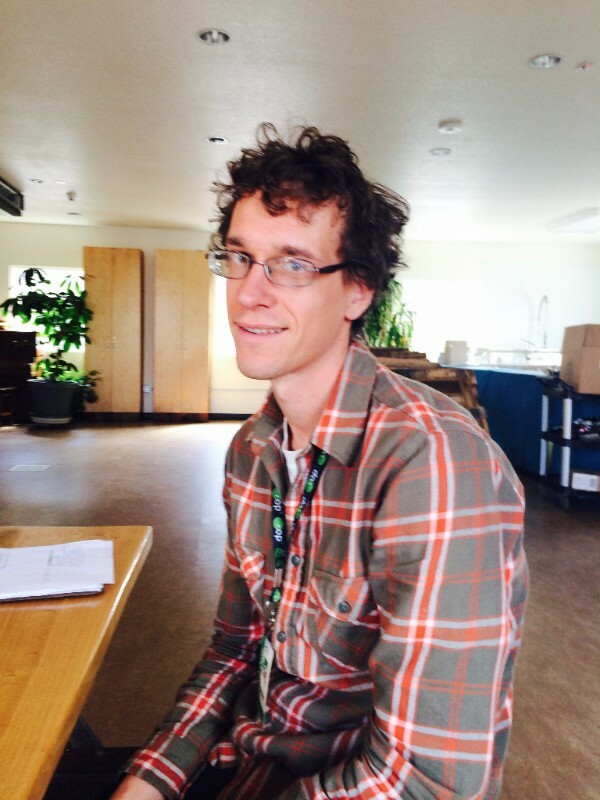 Jacob Nachel, our Local Food & Sustainability Coordinator. Known amongst these four walls as the human calculator of food - "07734" (type that into your calculator and look at it upside down). Our Prepared Foods department is charging into 2017 full steam ahead! 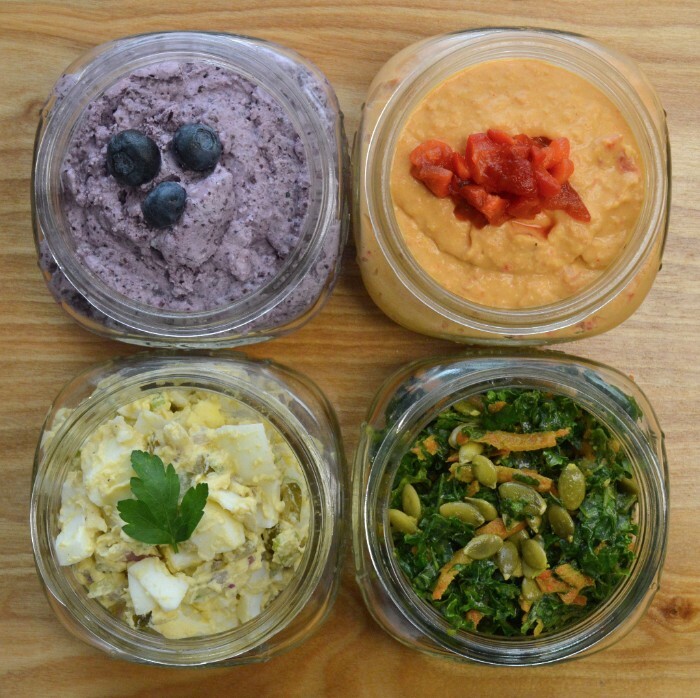 Our Co-op was built on the premise that we all deserve easy access to healthy, clean, and wholesome food. We cater to people who care about what they're putting into their bodies and are concerned about the impact their food has on the people who produced it and the planet. Each day we do our best to honor these concerns by bringing in the highest quality foods available and as we watch the growing number of members and supporters walk through our doors, we recognize that a whole swath of people in our community aren't so lucky. The sad fact is that right now our food system enables the most processed and poisonous foods to be the cheapest and most accessible, while the healthiest and least processed foods have become "a privilege." Despite slashing our margins to offer highly competitive pricing (especially with our monthly specials), there is just no way to consistently beat the artificial pricing of the heavily-subsidized agricultural model underlying the processed food industry. And frankly, we find this unfair and inhumane. Our commitment is to healthy food and a healthy planet, and we dream of the day that healthy eating is supported by sound economic incentives. Until then, we're coming up with ways to extend the reach of the healthy products and foods that we go to great lengths to source and stock. The bottom line is that health is a natural right, and healthy food is the foundation upon which it stands. For these reasons, the Round Up for Food Justice Program was born. Perhaps you've noticed the signs at the register, or even decided to round up to the nearest dollar while checking out, and maybe you've wondered about how this program is actually addressing something as large and complex as Food Justice. Our approach to increasing access to these healthy foods is actually quite simple: education and food vouchers. We do this with a series of 8 weekly classes that focus on general nutrition and health topics and include a simple cooking lesson using whole foods. Participants are eligible based on income restrictions, and because many of them lack consistent access to a kitchen, all of the recipes we teach are designed to be cooked in a rice cooker for less than $5 per serving. Our aim is to reduce the perception that cooking with organic whole foods is inherently expensive, time-consuming, and difficult. In addition, our educational presentations motivate this type of eating by diving into common health complaints and how a whole foods diet can help both reduce disease and prevent it. In addition to the presentations and the free meals that each class cooks and enjoys together, the Round Up for Food Justice Program also provides each participant with a $20 voucher for produce at the Co-op at the end of each class. 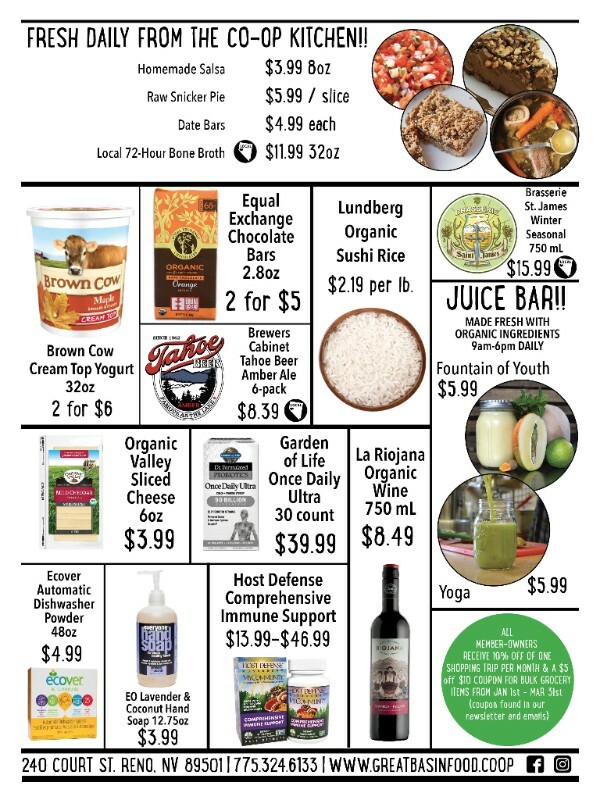 These vouchers create a good incentive to participate in each weekly class, and also enable participants to shop for ingredients they might otherwise overlook. For most of our participants so far, this program introduced them to the Co-op for the first time, even when they've been living nearby for years. After our General Manager & Co-founder, Amber Sallaberry, ran a pilot program last summer for a classroom of eager participants, Round Up is now almost halfway through its first official series of classes. In this session, over 75% of participants do not have access to kitchen facilities, making the rice cooker an important element of our cooking lessons. Our participants currently range from ages 9 to 65, and are showing an encouraging level of interest and commitment to the program and what it has to offer. 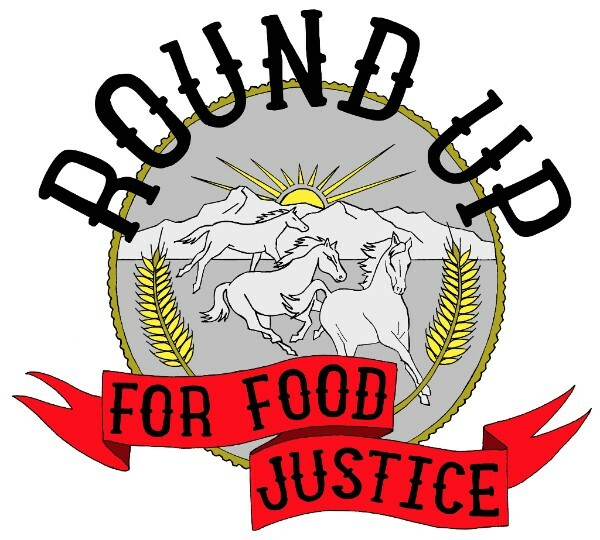 Round Up for Food Justice currently accepts donations of any amount, but even some spare change from simply rounding up to the next dollar when you're at the register goes a long way. If you're one of the loyal supporters who choose to "round up" when checking out, we thank you for helping us offer this important program to our community. A little change from some can mean a big change for others. 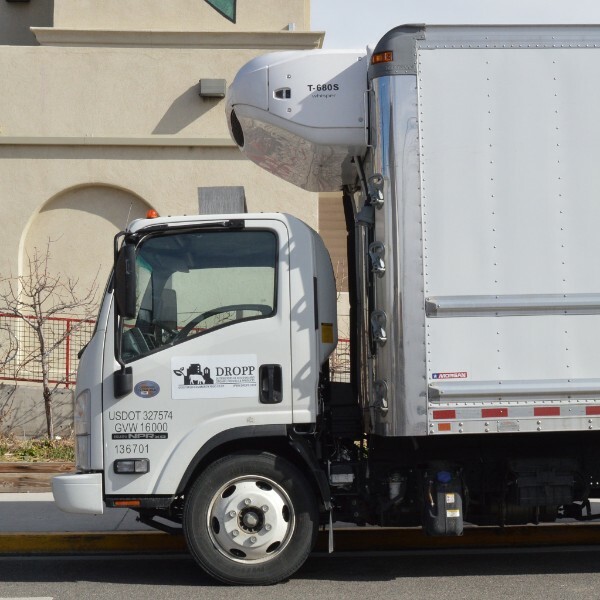 DROPP is now delivering in it's own refrigerated truck, SHOP DROPP 2017! 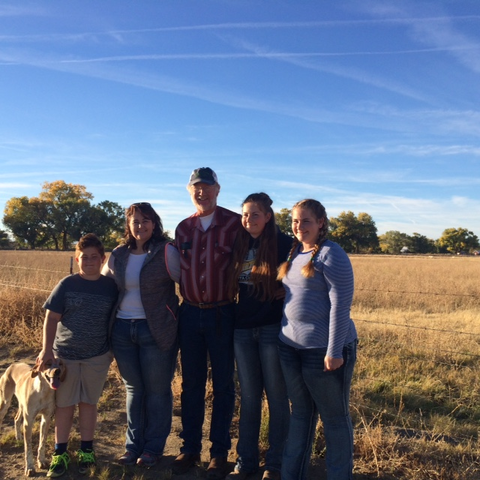 Albaugh Ranch Family. Fall, 2016. We love you guys. 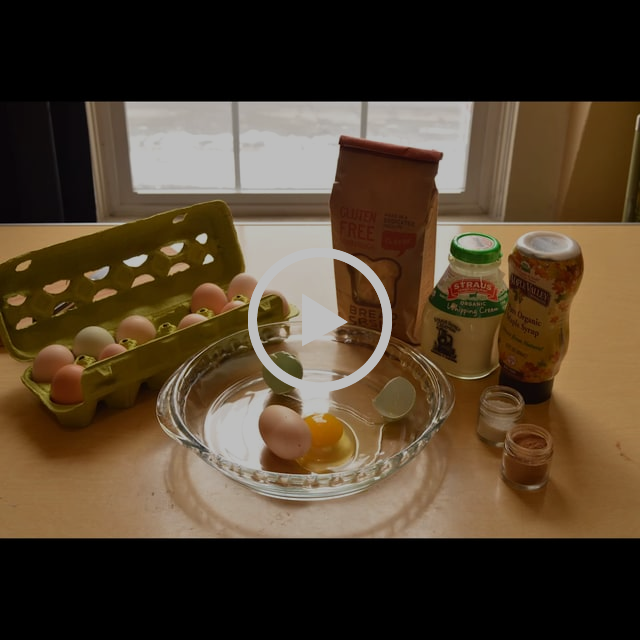 Check out our French toast with alien abduction milk video! The co-op creative team took a trip to Drellicks, NV to work on our 2017 Theater & Stunts Strategic Plan. To properly fuel our explorations into the Realms of the Unreal, we decided to make breakfast using all of our favorite co-op ingredients... including the all star champion of gluten-free/vegan bread, BREAD SRSLY!!! At one point in her life a member of our group ate french toast almost every day for 3 months. She proclaimed that today's pile of "Vanilla-Bean-Sprinkled-Custard-Yolk-Cinnamon-Maple-Dipped-Straus-Heavy-Whip-Cream-Salted-Coffee Soul Food" was above and beyond her previous understanding of paradoxical relationships, quantum entanglement and unconditional love. Just when we thought that the morning couldn't get any better, we met a small shapeshifting monkey named Pinwhill. Pinwhill carried a boombox filled with mystical noises that turned our guts into the most psychic and GABA coated of microbial lands. He called this stream of harmony - "Grass Widow" Pinwhill then escorted us to the wormhole of abducted cream where we all were able to witness the making of this heavenly fluff. Moments before we could feel our protons and neutrons fusing together to interdimensionally collide us back to Reno, I heard Pinwhill read this passage from the Drellicks Manifesto: "PRALIA #35: Only they who have touched the soil, worked the land, relied on the waters, and have earned the trust of a small flock shall take a political seat in Drellicks. For a minimum of one full cycle around the sun, this figure must rely upon their own cognition and their symbiotic relationship with each and every tiny organism in the dirt to feed, clothe and house themselves. 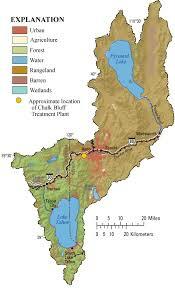 Only then will this legislator be ready to make lofty decisions affecting each and every tiny ecosystem that allowed their year of life to be." 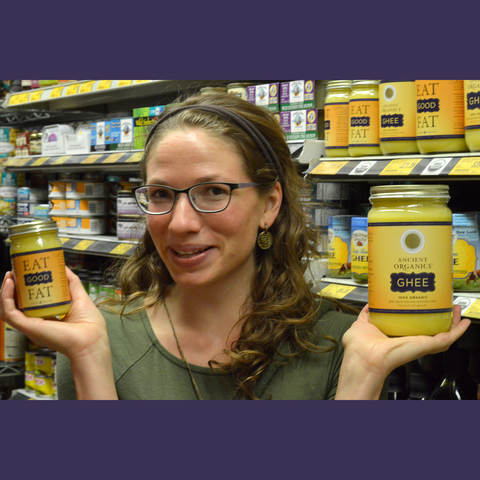 "I get ghee'd up with Ancient Organics. This ghee is made in small batches from Strauss butter. But what really gets me is that Ancient Organics syncs production with the waxing moon and uses specific ghee-making mantras in the kitchen. That's right. This ghee is the intention-infused kind of good and my go-to for a nourishing dose of fat fuel. I like to refill my mini ghee jar from the big guy (best bought on member deal days). That way I can carry my fat in my purse and whip it out for tea and crackers anywhere." 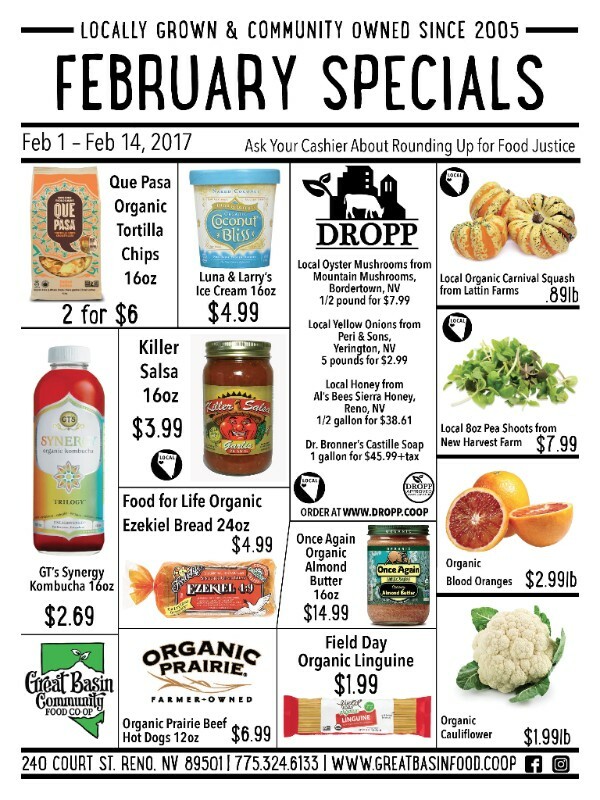 Copyright © 2017 Great Basin Community Food Co-op, All rights reserved.